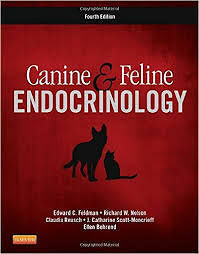 No other title offers such dedication to the depth, experience, and focus of endocrinology asCanine and Feline Endocrinology, 4th Edition . Comprehensive coverage includes virtually every common and uncommon condition in endocrinology, plus the most updated information on nutrition, geriatric care, pathophysiology, testing procedures, and cost-effective and expedient diagnostic protocols. With its logical, step-by-step guidance for decision making, diagnosis, and prescribing, you will be well-equipped to care for the wide spectrum of endocrine and metabolic disorders in dogs and cats.